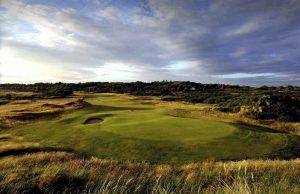 Royal Troon was a great host for the British Open this year. It was already one of my favorite courses in the Open rotation and it lived up to its reputation. The fact that I got to play 9 holes at Troon 30 minutes after the trophy ceremony didn’t hurt either. Webb & I barely took down Keegan and his agent Ben. I was a kid and loved every second of it. We played solid all week except for two nine holes which ultimately led us to a T39 finish. The advantage was being able to have an early dinner and watch one of the greatest duels in the history of golf. Hats off to both Henrik and Phil for an incredible display of golf that will stand the test of time. Thank you to everyone who continues to support TFF and our family. God Bless.